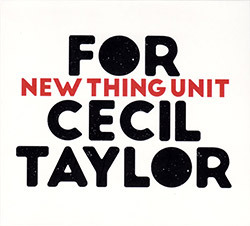 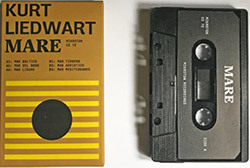 "When it comes to using electronics in improvisation (or as part of a compositional basis for improvising, à la Braxton's Diamond Curtain Wall Music), I've basically taken the attitude that if the result is engaging, I'll engage with it. 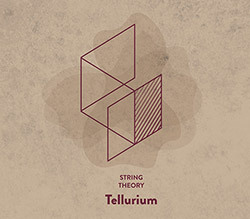 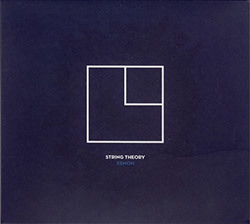 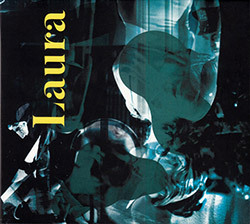 I admit to something of a soft spot for acoustic albums, though, particularly as musicians develop some of the physical techniques for broadening their timbral pallets to include sonorities derived from electronic music. 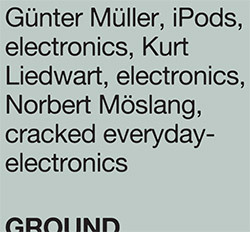 Of course, considering that I so often interact with music via recordings, there is usually some element of "electronics" already involved anyway in what I actually hear. 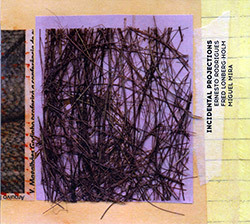 That said, I'm still emphasizing the element of spontaneous group interaction, rather than some fully rendered composition or process. 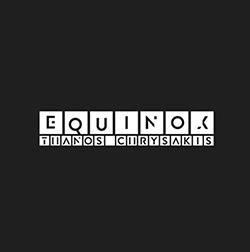 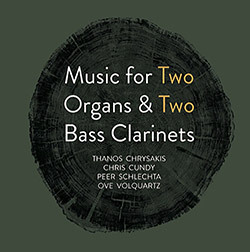 Within this "improvising with electronics" idiom, Thanos Chrysakis had already stood out to me for his sense of line & form, basically the way that he sculpts sounds & brings them to one's attention within a broad tapestry. 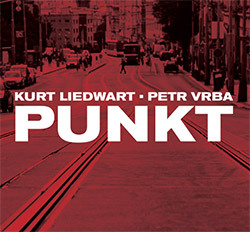 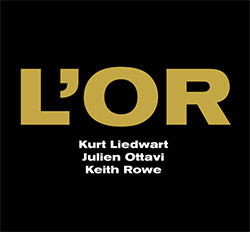 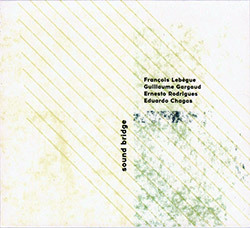 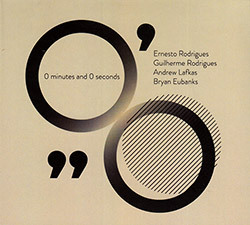 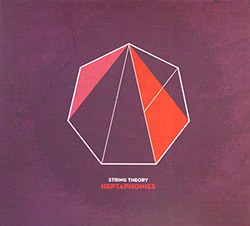 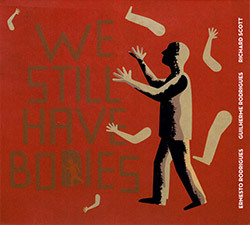 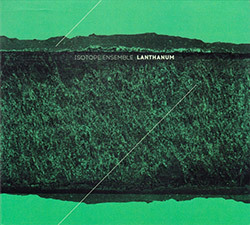 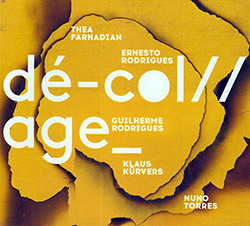 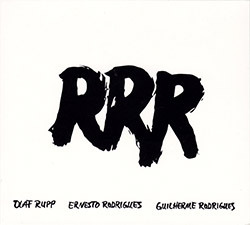 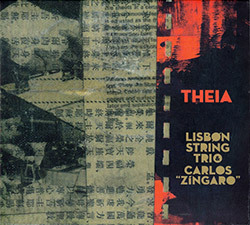 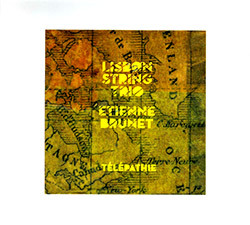 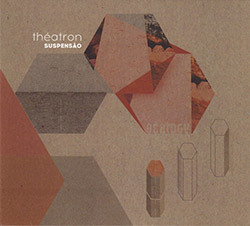 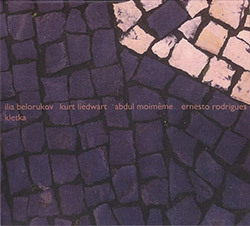 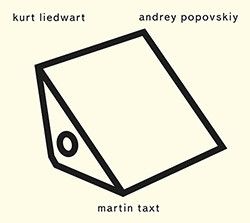 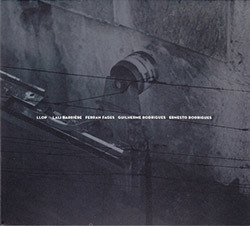 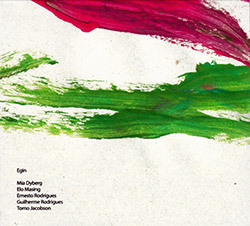 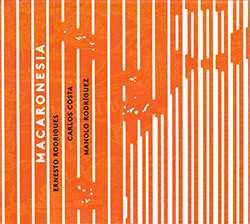 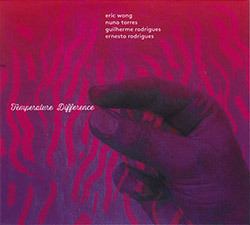 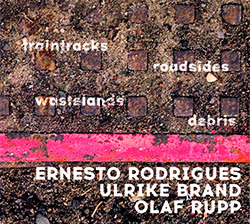 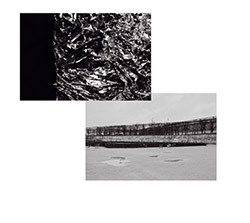 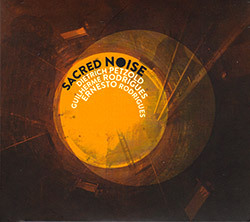 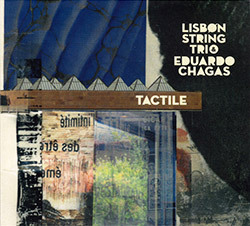 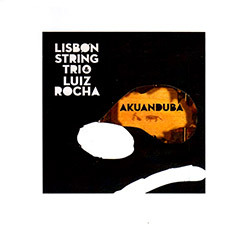 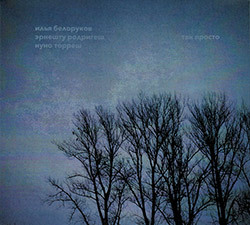 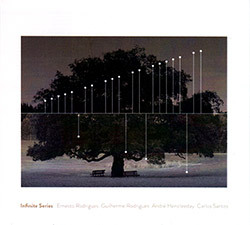 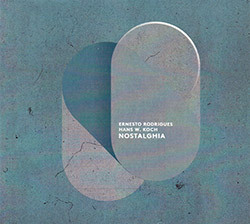 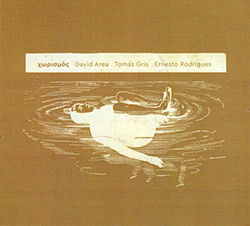 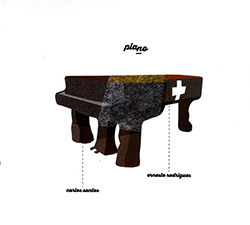 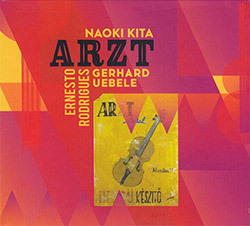 This is true, once again, on Skiagraphía, a new improvising quartet release on Creative Sources, and a collaboration with Ernesto Rodrigues (with whom Chrysakis had collaborated most recently on Exaíphnes, a tightly conceived & brightly colored album, first discussed here in September 2015) & Kurt Liedwart of Moscow. 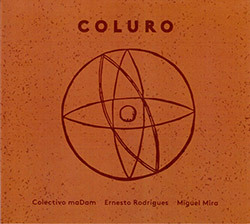 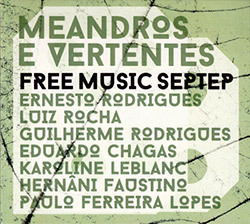 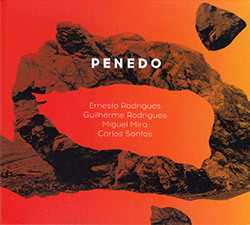 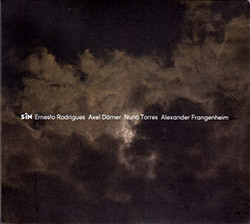 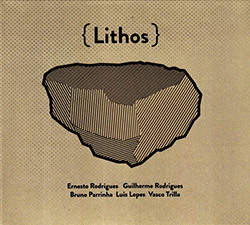 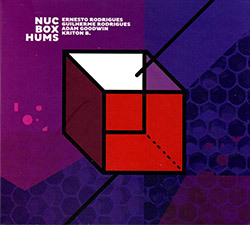 Filling out the quartet is Nuno Torres (alto), who has appeared on many similar projects with Rodrigues, including the rather comparable Primary Envelopment, with Wade Matthews on electronics. 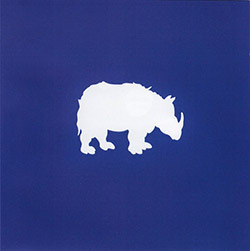 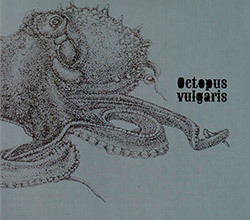 The latter was recorded in the first half of 2014 (discussed here in March 2015), and features an especially wide pitch canvas, from growling to piercing tones, amid which the listener often finds themselves surrounded. 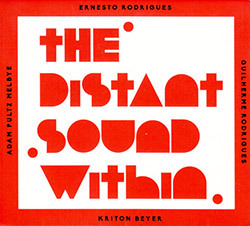 Although it includes a range of pitches, including timbres from helicopters & foghorns (metaphorically speaking) to whistling teapots, Skiagraphía proceeds more from the middle (i.e. 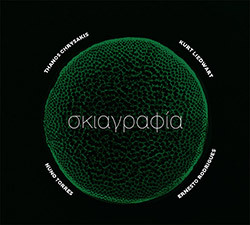 human ranges), and shows Chrysakis's talent for rendering "strange" sounds into a coherent foreground presence. 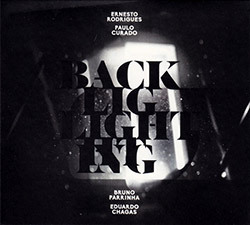 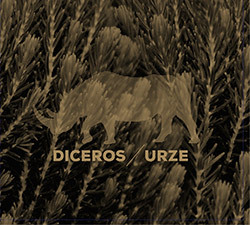 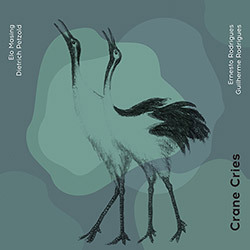 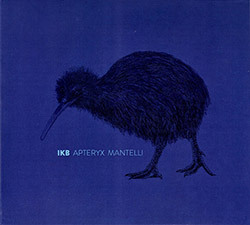 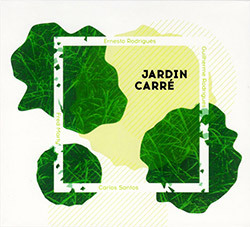 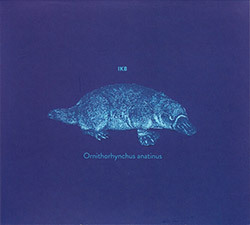 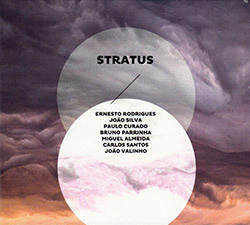 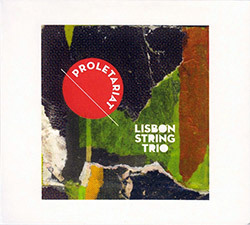 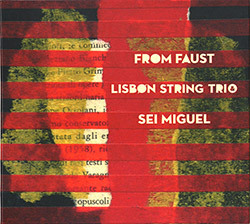 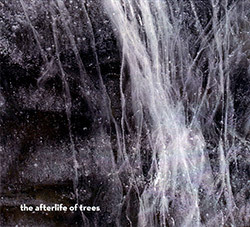 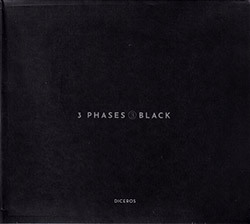 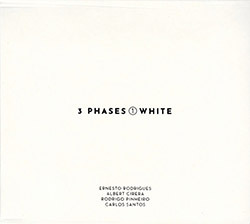 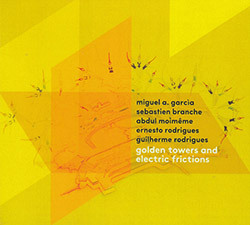 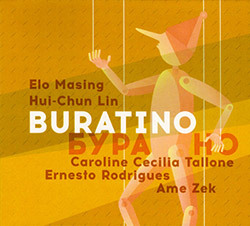 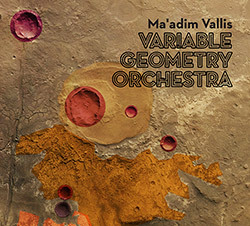 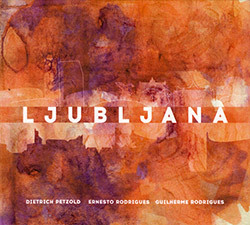 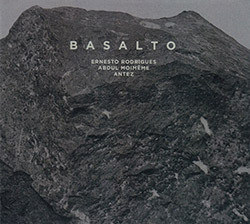 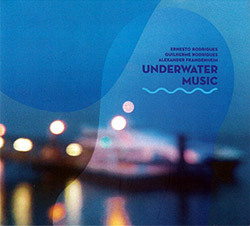 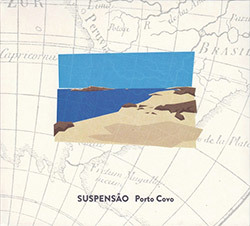 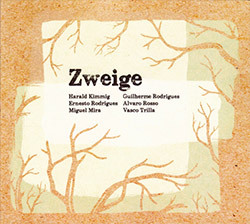 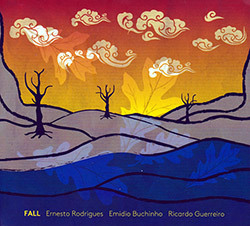 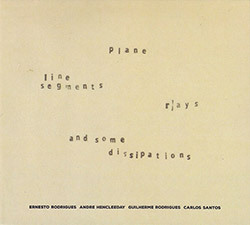 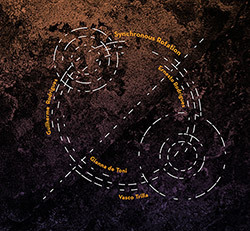 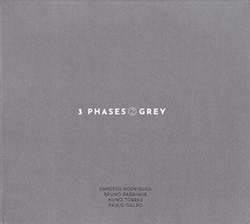 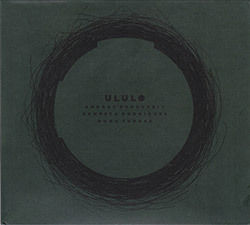 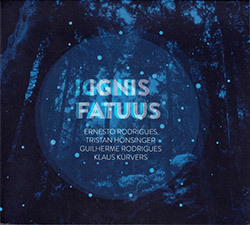 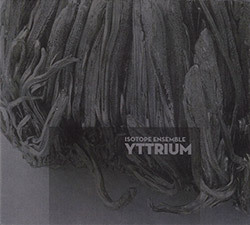 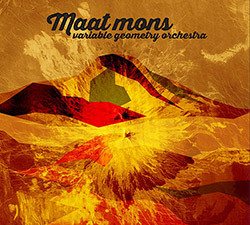 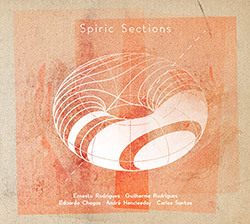 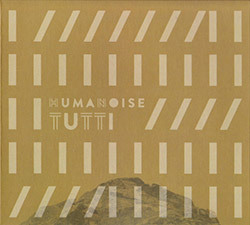 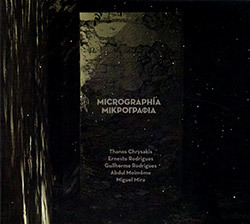 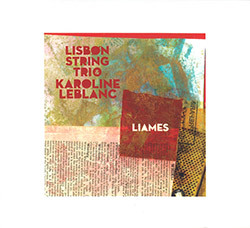 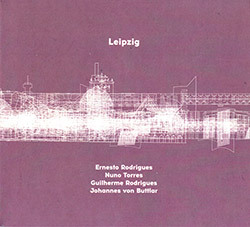 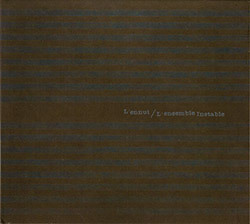 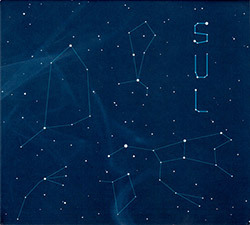 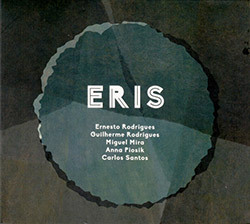 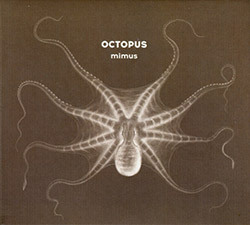 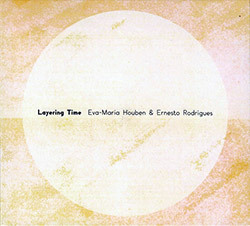 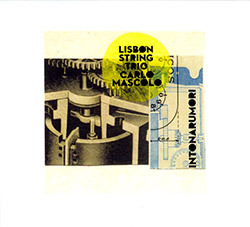 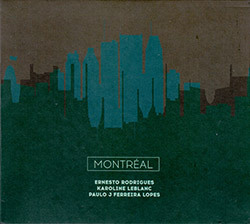 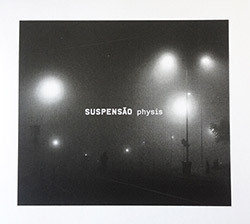 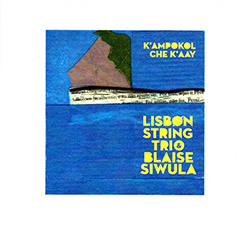 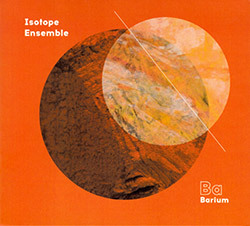 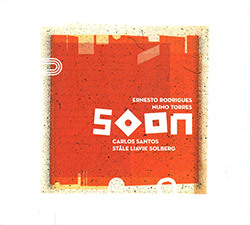 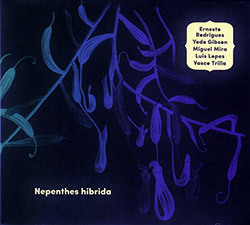 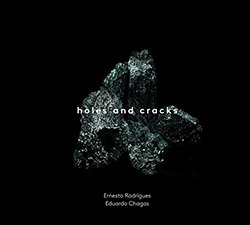 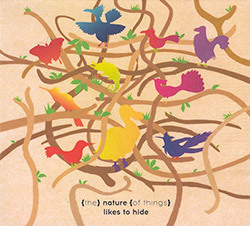 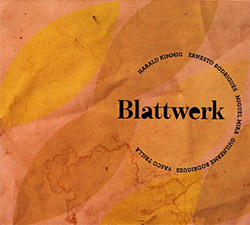 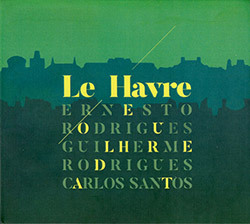 In that quality, it's rather similar to Carved Water, recorded later in 2014 (and discussed here this past January): Although the latter album has a different emphasis, particularly around wind articulation, and a resulting liveliness, it features a remarkably similar ensemble of two electronics artists (including Chrysakis) with viola & saxophone.